Have you started adjusting sleep schedules in preparation for school? I love summer as much for the looseness of the days as anything else. We might follow a general routine, but if mornings start later than usual, or dinners are a bit less regular, that’s okay. Summer bedtime routines seem to follow the pattern, too: Later than usual, maybe varying from night to night a bit. It’s a relaxed (and relaxing) time of year. school year is coming, faster than we want it to. Before we know it, bus pickups will begin on early mornings, and there will be homework and practices and just a whole lot more of a schedule. 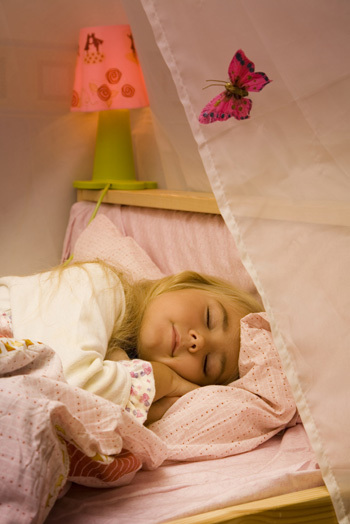 Know how much sleep your child needs and the specific bedtime he needs to achieve that. Consult your pediatrician and/or the National Sleep Foundation about sleep guidelines for your child’s age. Although your child may be an outlier on either end of the spectrum (needing more or less sleep), the actual guidelines may surprise you. when your child needs to get out of bed, and then when your child needs to go to bed at night to achieve adequate sleep. If the target bedtime is well off the current summer bedtime, it’s time to devise a plan to get to the target bedtime and get your child the right amount of rest. diminishing light of earlier sunsets. It’s not like at the end of our school year, when it was very light outside at bedtime. As a parent, participate in this earlier routine, too. You’ll all be better prepared for the start of the school year. routine before lights out. If your child reads to herself, do the same thing. Make sure the books are appropriate and that your child has an adequate amount of reading time as she settles down. Also, look at the foods your child eats before bed. Avoid foods or beverages with caffeine that might interfere with sleep. keep it up. Adequate sleep is no minor matter; it affects mood and even the ability to learn. While thinking about school bedtimes and rise times is no fun while it’s still summer vacation, the results will be well worth the effort.